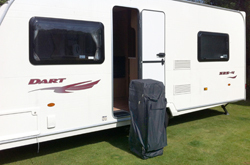 The Compact instant marquee range (with a closed footprint that will fit into the boot of a medium sized family car), is a keen favourite with professional traders, motor sport enthusiasts and caravanners alike. And because of its portability, this utility marquee has uses within the garden, for shows and other numerous uses. 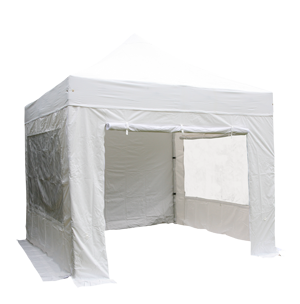 The Compact instant marquee can be set up in less than 5 minutes. 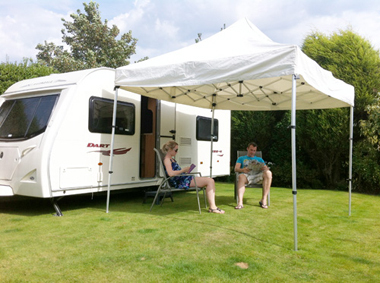 It is made from a robust high quality 2mm ribbed aluminium frame with a swift shade 380g waterproof polyester/PVC Coated roof canopy. The new compact model is unique in design offering easy mobility and storage. Give the Compact range the 'boot' test! Easyshelters have more than 15 years experience in supplying Gazebo/ Marquees /Shelters to the Trade and leisure industry, and as a direct result of continious product development the compact range was born.